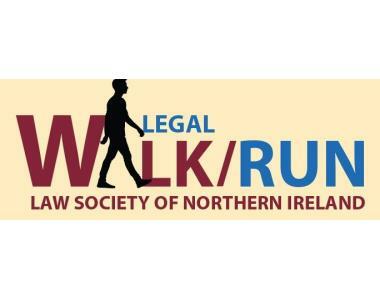 The Law Society of Northern Ireland is delighted to announce the launch of the Legal Walk/Run which will take place on Friday 17th May 2019. 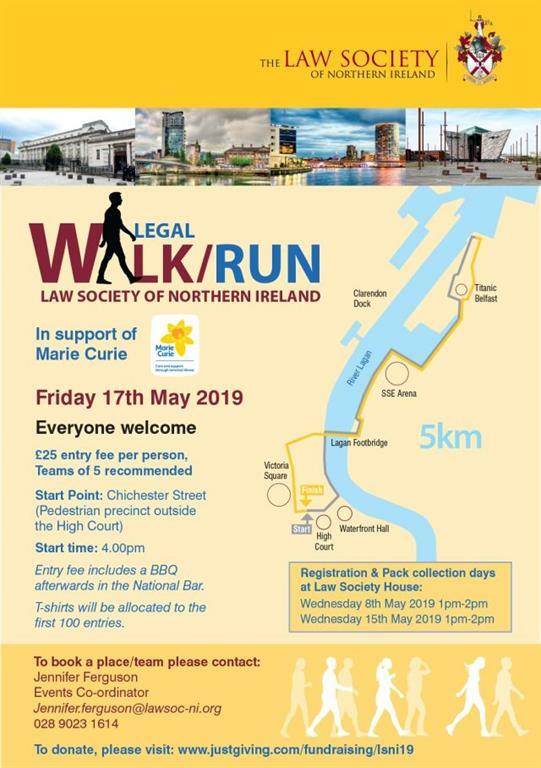 Now in its third year, this successful event continues to bring members of the legal profession together to help raise funds in support of Marie Curie Northern Ireland. Simply click here to download the registration form 2019 below, and complete and return it with your entry fee. Please note: cheques should be made payable to Marie Curie Northern Ireland. T-shirts will be allocated to the first 100 entries. How can I support Marie Curie? * Considering raising donations through individual or team sponsorship. * Hosting a pre-event event such as a coffee morning. Help make the Legal Walk/Run 2019 an outstanding success! How far is the walk/run? The route is approximately 5km/3.1 miles long. What time does the walk start and finish? The event will be open from 3.30pm with a warm up and music. Those opting to run the route will start at 4pm with walkers starting at 4.05pm. Does the walk start and end at the same place? The walk will start at the pedestrian precinct outside the High Court, crossing Oxford Street and following the path along the river to Titanic Quarter. The route is circular so you will return to the finish point which is located just in front of the Waterfront. Do I need to be fit to take part? Please ensure that you are fit enough to walk, jog, run 5k (3.1 miles). If in any doubt you should consult your GP. Remember to warm up before the run. We constantly monitor the weather forecast in the lead up to and throughout the day of the event so that if the weather is particularly bad, we can amend the walking route. Please dress appropriately and wear sensible footwear. The Legal Walk/Run event would only be cancelled in the case of very extreme weather. If the event is cancelled all participants would be contacted via phone and email, and an announcement would go out on the Law Society’s social media channels. We would encourage participants to wear the branded yellow T-Shirts which have been worn in previous years. We would also positively encourage fancy dress. Can I volunteer at the Legal Walk? Yes. We have volunteer roles which include collecting money, marshalling the route and helping to organise the start & finish. 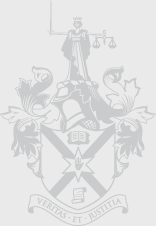 Please email Jennifer.Ferguson@lawsoc-ni.org for more information. Dogs are welcome but they must be kept on a lead at all times. What time is the BBQ at the National? A private BBQ for participants will take place in the National Bar straight after the walk/run. Participants will be issued with a token to avail of their food. Due to the popularity of the event are expecting a large number of our participants to attend the National so ask for your patience while food is served. Guests will be expected to purchase their own drinks.